You can live elegantly in a big city small apartment with a well arranged floor plan and tasteful interior design. 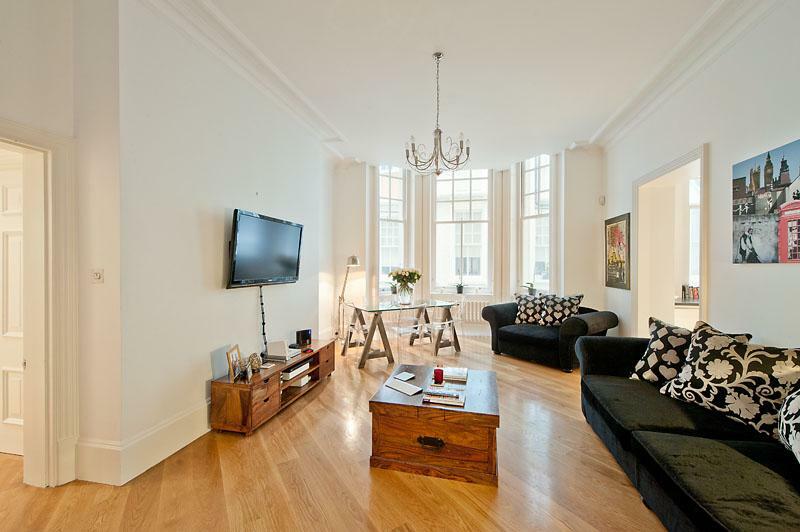 Albert Court apartment is within walking distance of Hyde Park in London, England. This 1,380 sq. ft. (128 sq. m.) apartment has a contemporary and bright interior decor with beautiful hardwood floor. It is an example of elegant living with simple luxury.